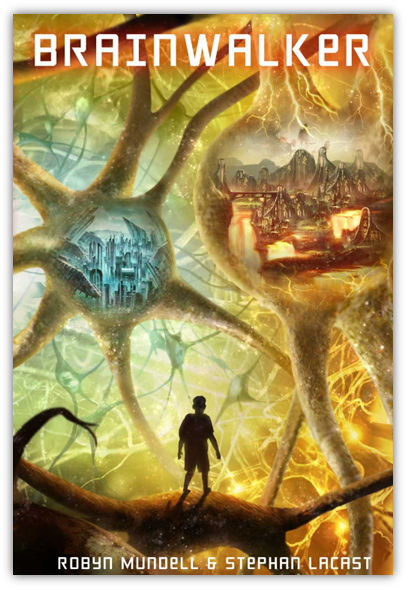 On this map of the Brainiverse, you can see the two quasi-symmetrical hemispheres of the brain. 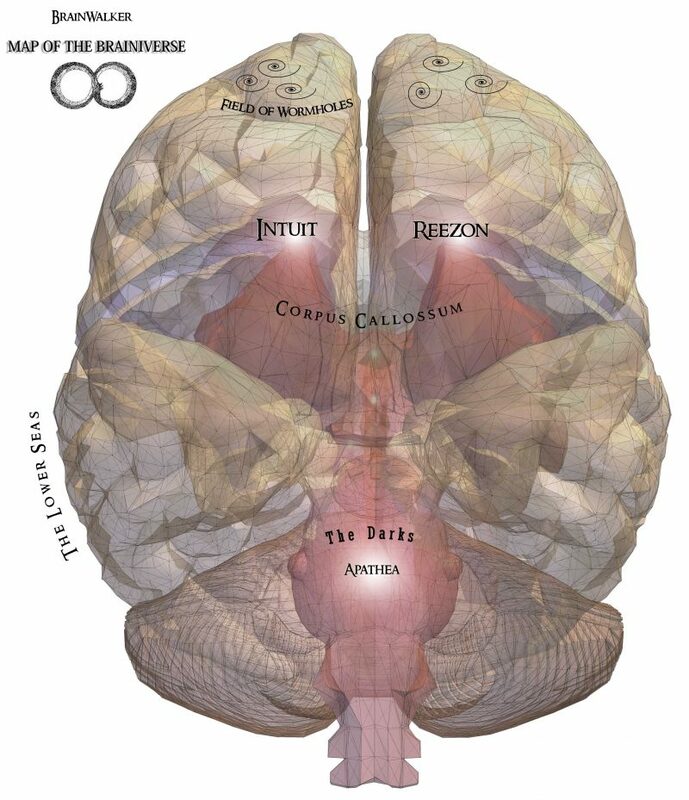 Intuit and Reezon are small regions located in the brain’s frontal lobes, in the upper seas of the Brainiverse. The two hemispheres are connected by a giant bridge, the Great Arc, where Bernard and his friends meet the Bridge people. Deeper in the lower seas are the Darks and the mysterious city of Apathea where the Telamons live.